Nextrio is the trusted IT advisor for more than 1,000 small and mid-sized organizations in Arizona and throughout the Southwest. Our network architects, engineers and system administrators operate as the “IT Department” or supplement the in-house IT resources for growing companies. 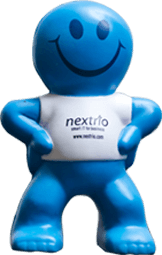 Nextrio helps businesses via managed IT services, CIO-level consulting and expertly executed IT projects.